Network is Roda’s archetypal collection, the one which marked the firm’s real turning point in terms of design. 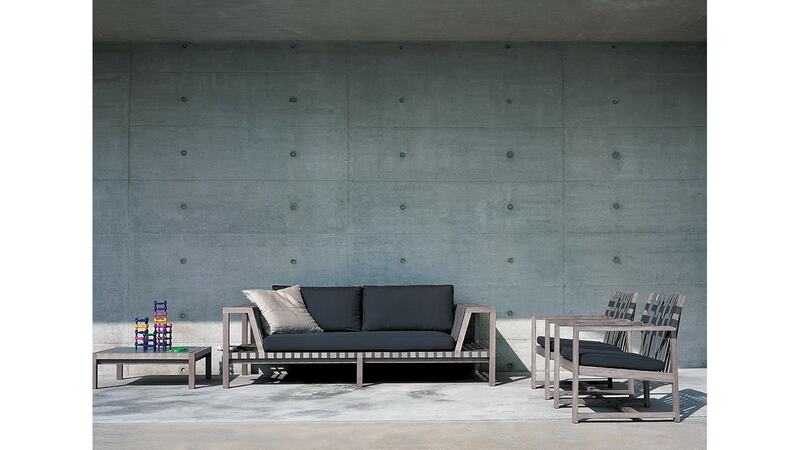 A product line whose highly distinctive feature is the marked presence of solid teak, a modular system for living and relaxed environments: Network, that is. With brilliant providence, Rodolfo Dordoni turns the skeleton of the backrest into a perfect shelf to hold the accessories of rest & relaxation. The structure offers both shape and ornament: clean lines and elegant simplicity work horizontally, in a rhythmical game of full and empty spaces. Click here for 005 bench/coffee table product specifications. Click here for 007 bench/coffee table product specifications. Click here for 008 bench/coffee table product specifications.